TORONTO (Sep. 30) – With the reasonable development of young, promising chattels on defense and in goal, there will soon come a time when Toronto Maple Leafs are favored to win the newly formed Atlantic Division. Just not yet. Any utterance of “Leafs” and “win Division” in the same breath by a person not on hallucinogenics dates more than 10 years – to the early Pat Quinn era. The first 100-point accumulation in franchise history (1999-2000) yielded a regular-season title in the old Northeast sector, which included Boston, Buffalo, Montreal and Ottawa. Leafs were five points better than the Senators and 15 points clear of third-place Sabres. It remains the lone-such achievement in half-a-century. That one can envision a repeat is a credit to Brian Burke, who accomplished nothing in four years as GM of the Leafs, but left behind – as alternate strategy – a young, gifted nucleus. We say alternate strategy because building slowly and patiently was not Burke’s initial plan. As a horse-trader, though, few Leaf bosses were quite so prolific. It is a credit to the current tandem of David Nonis and Claude Loiselle, which has shrewdly stream-lined the club by unloading futile, cap-restraining components. Now, it is up to Randy Carlyle; fate, and one of Jonathan Bernier or James Reimer to take Leafs above and beyond. Fate, as with any team, involves man-games lost to injury. It is never predictable and almost always decisive. In that realm, Leafs are notably vulnerable at the key, centre position, where size and talent do not mesh. Any long-term disability, therefore, involving Nazem Kadri or Tyler Bozak – particularly the former – has potential to cripple the club. It will remain a factor until Nonis acquires a third pair of hands up the middle; preferably, a specimen in the 6-foot-2, 215-pound range. That honest politicians are in more abundant supply cannot deter the Leafs GM. 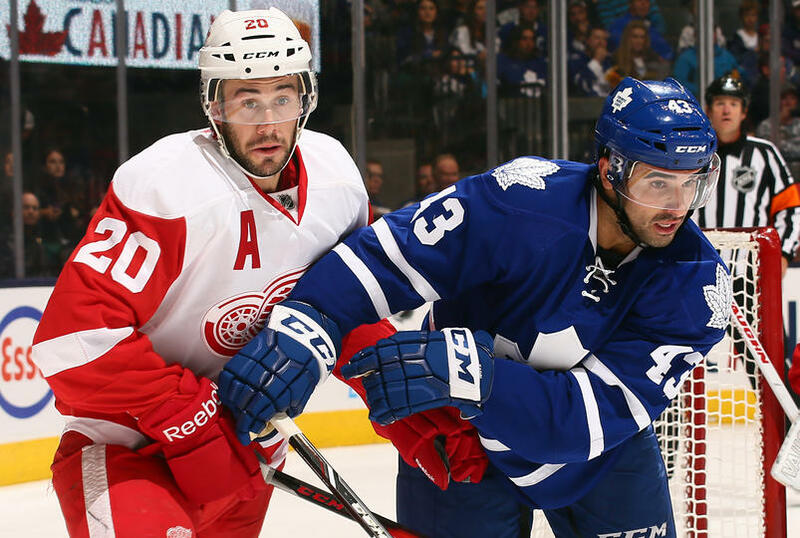 With Kadri and Bozak in the line-up, Leafs are well-positioned to make a bold run. Provided, of course, there is unwavering stability between the pipes. Though I contend Stanley Cup goaltending is a one-man show, Bernier and Reimer will push one another until, ideally, an irrefutable No. 1 player emerges. Should Carlyle’s “win and your in” philosophy prevail, it will indicate Leafs are underachieving at the position. Otherwise, and if health is not an overriding issue, potential becomes largely unrestricted. Let’s not forget the Blue and White finished a mere five points behind Division favorite Boston in last year’s abbreviated schedule before providing the Bruins a mammoth playoff scare. My crystal ball sees the Atlantic Division similarly bunched at the top in 2013-14. I’ll be surprised if much more than 10 points ultimately separates Boston, Ottawa, Toronto and Detroit – with Montreal not far behind. Tampa Bay, Florida and Buffalo are the supposed weak links in the new cluster, though Steven Stamkos, Tim Thomas and Ryan Miller could impact that presumption. Chicago vs. New York Islanders. The fun begins tomorrow night.